Home / math puzzles / WhatsApp Forwards / whatsapp math puzzle / whatsapp puzzles / Memory Card Pen Drive Hard Disk Puzzle | with Answer | Kingston | Can You Solve This ? 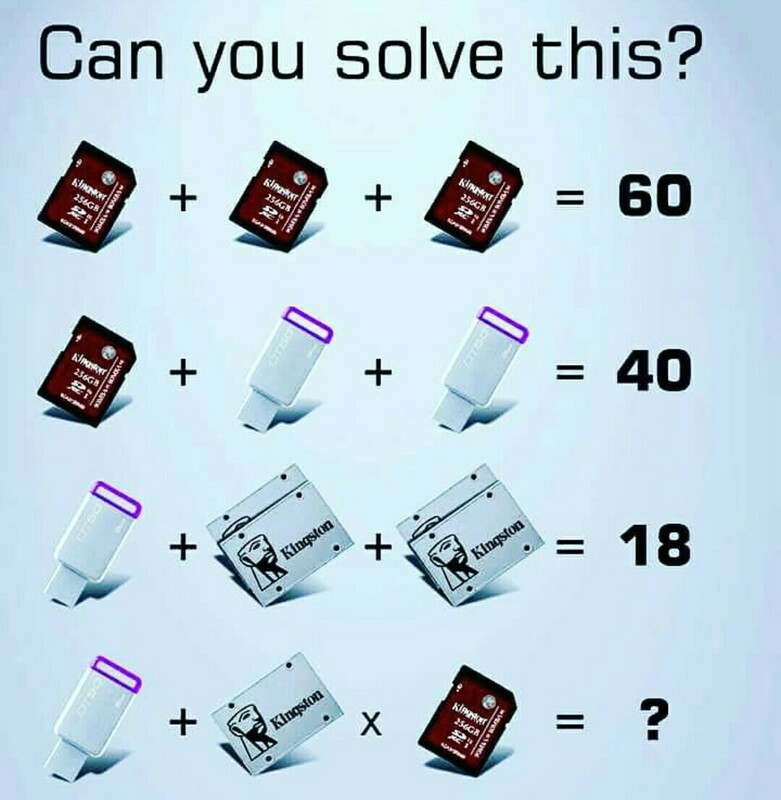 Can You Solve This Whatsapp Picture Puzzle ? Kingston Memory Card Hard Disk USB Drive Puzzle is the latest puzzle trending in WHatsApp groups. Check for the right answer below.